If you’ve just completed the formation process to start your new limited liability company, there is reason to celebrate. However, it’s important to remember that after the initial paperwork is filed, most states will require some ongoing reporting to maintain your LLC status. While there is some variation from state to state, in most locations you will need to file an annual report that keeps your state government updated on a few crucial aspects of your business. This article will help you determine whether you need to file an annual report, how to file it, and how much it will cost. The main reason for filing annual reports for your limited liability company is to inform the state of any changes made to your company’s basic contact information. 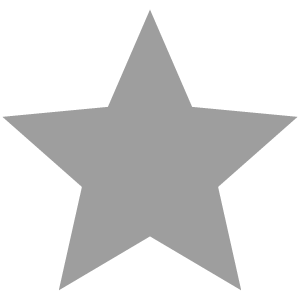 By completing this requirement, you can keep your LLC compliant and in good standing with your state of formation. Not all states use the term “annual report,” although that is by far the most common name for these filings. In some states, they’re referred to as annual statements, statements of information, or periodic reports. No matter what they’re called, these reports are generally fairly standard from state to state. 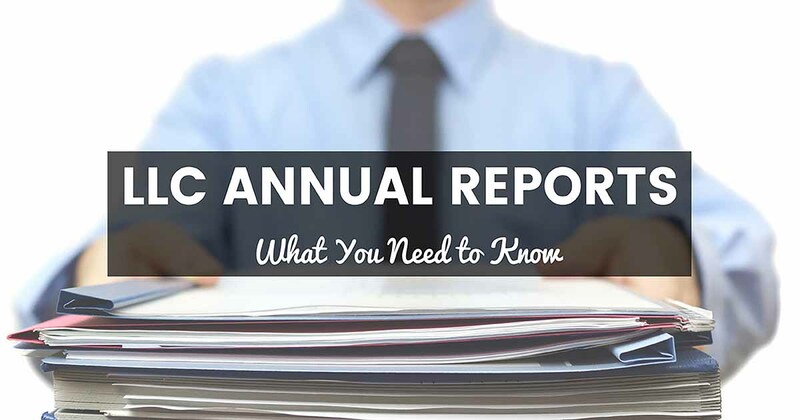 Typically, the annual report includes your LLC’s name and the physical address of your business, as well as the identity of your company’s registered agent. There is also a filing fee required by the majority of states. 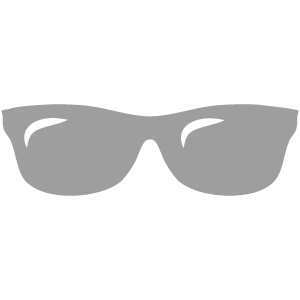 This fee can vary widely, from as low as $10 to several hundred. If you fail to file an annual report, you may initially be subject to additional fees or fines. Most states will dissolve your LLC if you leave an annual report unsubmitted for a lengthy period of time. For this reason, it’s very important to take this requirement seriously and always remain up-to-date with your annual reports. The reason the government takes annual reports so seriously for limited liability companies is that if your business information is out of date with the state, they may be unable to contact you in the case of a lawsuit. That is a situation all business owners should hope to avoid, so filing an annual report is in your best interests as well. Annual reports are required for all limited liability companies in most states, but there are eight states where you do not need to file these reports at all — Arizona, Arkansas, Delaware, Missouri, New Mexico, Ohio, South Carolina, and Texas. Additionally, in some states these reports are not required annually. There are quite a few states that have biennial reports, including Alaska, California, Indiana, Iowa, Nebraska, and New York. If you operate an LLC in Pennsylvania, you will only need to file a report once every ten years. 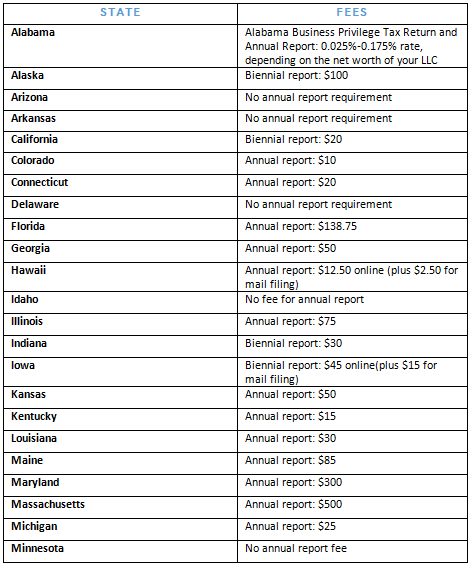 If you do not operate your LLC in one of the states listed above, you will be required to file a report every year. How Do I File My Annual Report? 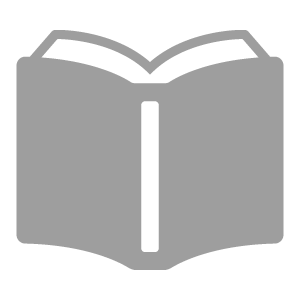 In most states, you can fill out and file your limited liability company’s annual report right on the state’s official website. If you prefer, you may use a paper form and file by mail or in person at your Secretary of State’s office. For the most part, the actual filing process for annual reports is quite simple since they do not request a great deal of information. If you file your own annual report, the biggest challenge is remembering your due dates year after year to avoid fines and/or dissolution. Another popular option is to hire a business service provider to handle this task for you. These companies not only take care of filing your annual reports, but most will also track your due dates so you never miss a filing deadline. Furthermore, annual report filing services are mostly quite inexpensive, especially considering how harsh the penalties can be for missing a filing deadline. There are plenty of great annual report services out there, including a few great choices listed below. For more information, make sure to check out the full reviews on each company’s annual report service. 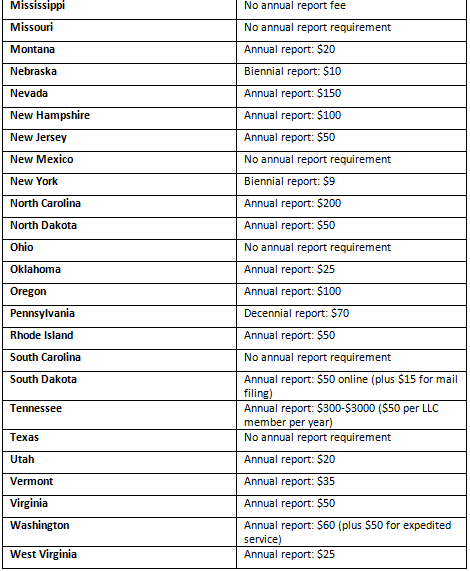 What Are the Annual Report Requirements in My State? As previously discussed, each state has its own set of rules and regulations regarding annual reports for limited liability companies. Below is a list of fees and guidelines for every state. Unless you operate your business in one of the few states without an annual report requirement, filing these reports will be a vital part of maintaining your LLC. An important decision to make is whether you should file your own LLC annual reports or let a respected business service provider handle them for you. In general, the choice comes down to two factors: How much do you trust yourself to keep track of the due dates and how much do you dislike doing paperwork? Whether you choose to do your own annual reports or hire a service provider, you’ll find that as long as you keep up with due dates, annual reports do not need to be a stressful part of owning a business.